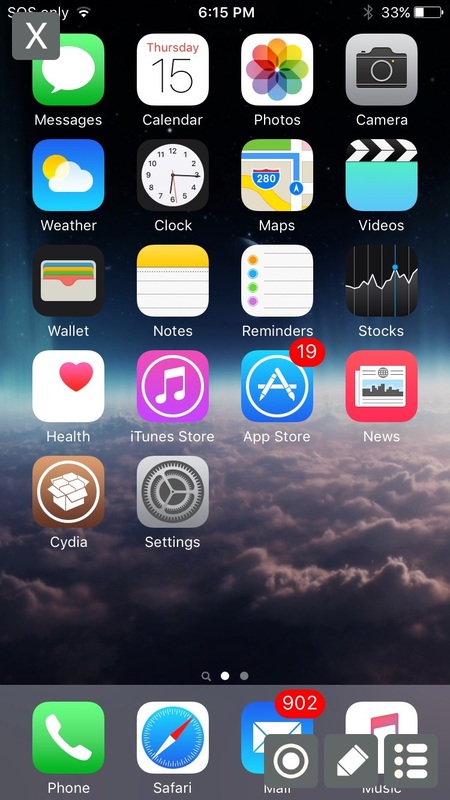 Compatible with iOS 9 for iPad and iPhone. 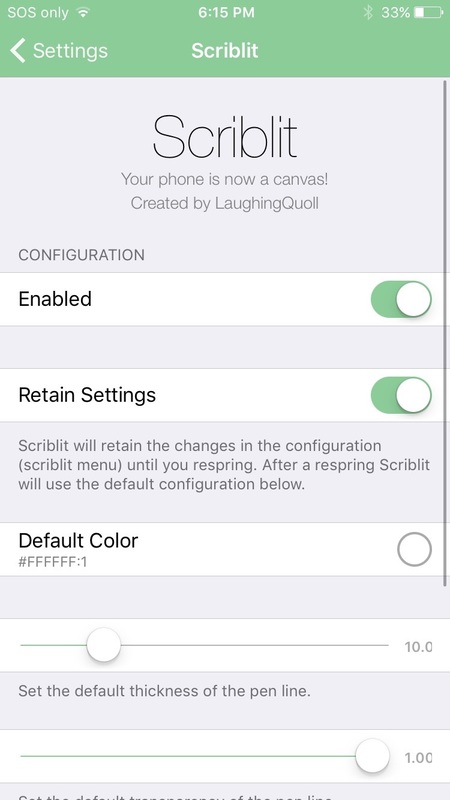 Scriblit is a tweak that turns your iDevice into a canvas. Via an activator gesture Scriblit will activate. 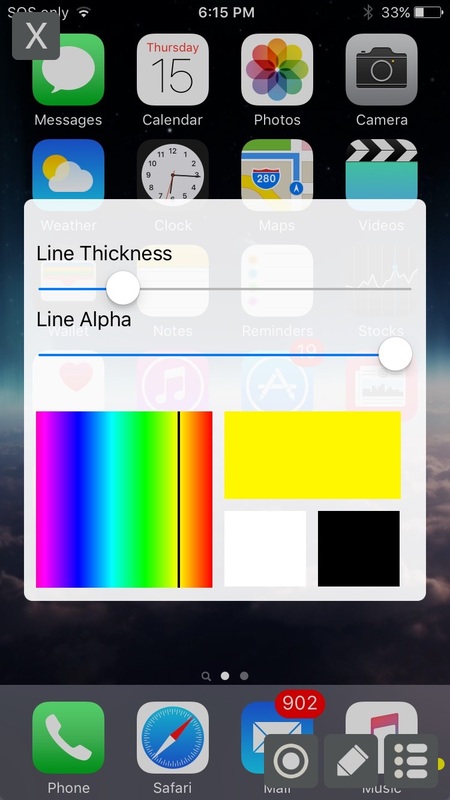 Via the menu button in the corner you can modify the drawing color, line transparency and line thickness. 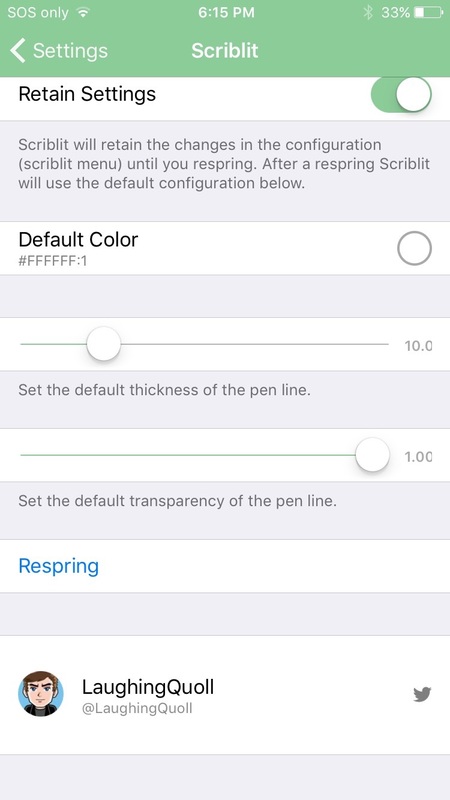 You can toggle between the pen and eraser by tapping the pen icon beside the menu button and tapping the camera button will instantly take a screenshot and save it to your camera roll.